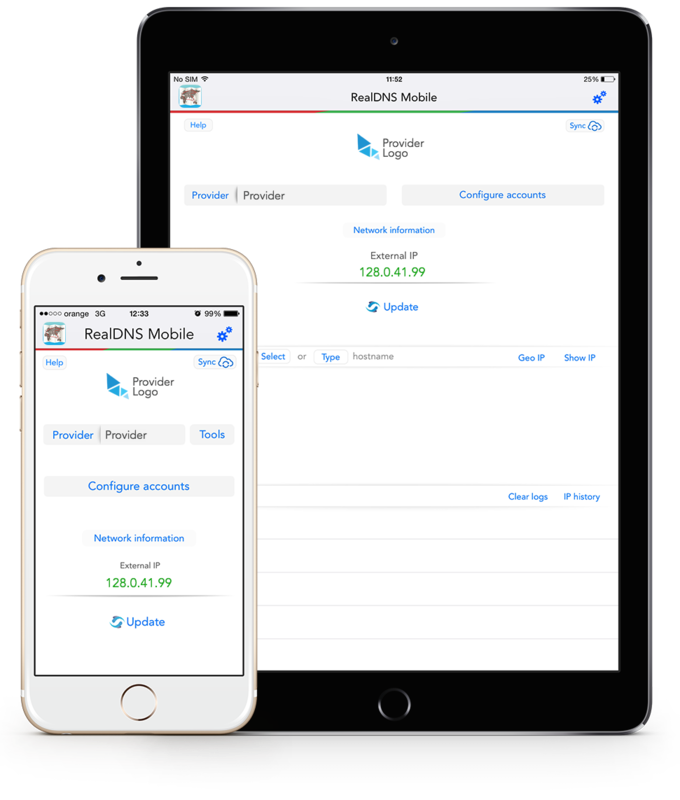 RealDNS Mobile is an application that updates your hostnames with the latest IP address of your computer, to the following dynamic DNS providers: Dyn, NoIP, FreeDNS, ChangeIP, DuckDNS, XpertDNS, Strato, DynDNS.it, DtDNS, EasyDNS, DNS Made Easy, CloudFlare, Google Domains, Namecheap, Hurricane Electric, Loopia, OpenDNS, GoDaddy so that you will always have an updated hostname allowing you to connect to your computer/devices from everywhere. iCloud sync - Sync all your accounts and hostnames using iCloud to your Mac or iPad. Background update - automatic updates your hostnames in background. 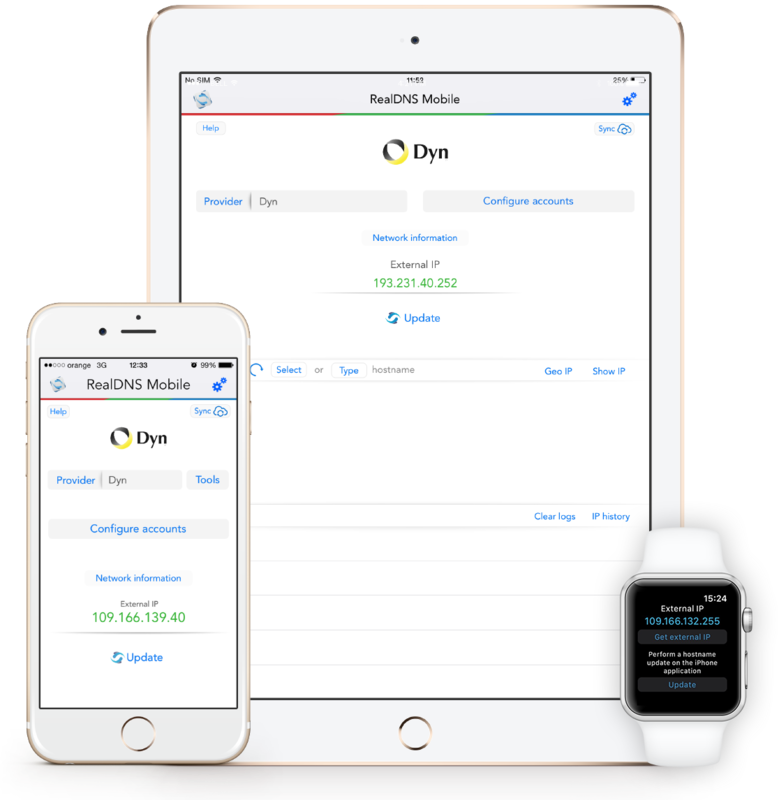 The best dynamic DNS update client on App Store for iOS and Mac OS X. The application will provide a light, easy and intuitive interface. In this mode the application will use only one dynamic DNS provider which can be configured with multiple accounts and each account with multiple hostnames. After a valid hostname has been entered or selected you can run any of the following operation on it: Show IP, Geo IP.